Never lose track of where you’re at in the process of converting a new lead to a booked client by customizing your sales process statuses to work for you and your business. 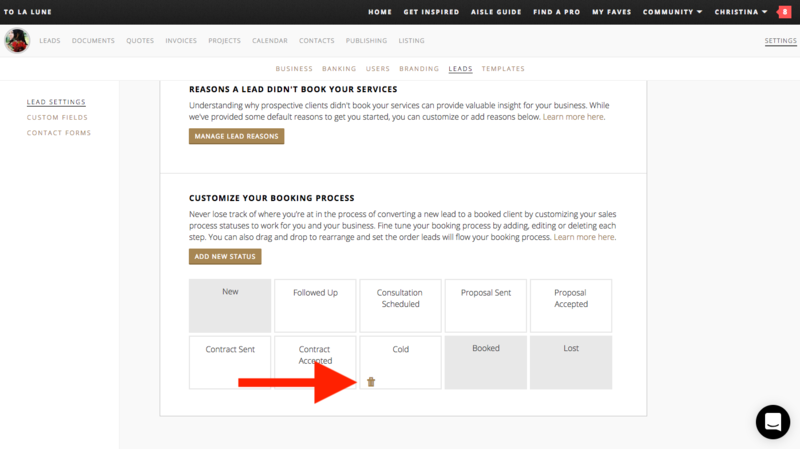 To get started, head on over to the Settings tab and click on Leads, then scroll down to the CUSTOMIZE YOUR BOOKING PROCESS section towards the bottom. 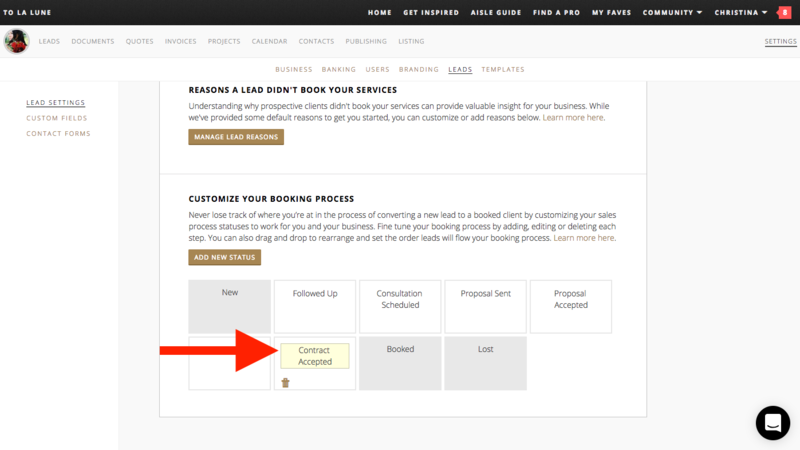 From here you can fine tune your booking process by adding, editing or deleting each step. We'll walk you the steps in this short tutorial, or scroll down for written instructions! To add a new step in your booking process (or status as we like to call it), click on the gold ADD STATUS button and type in the name of your new status here. To edit the name of an existing status, just click on the status name to edit. To keep your booking process compatible with our system, you won't be able to edit the New, Booked and Lost Statuses. To delete a status you no longer need, click on the gold trash icon that appears on hover. 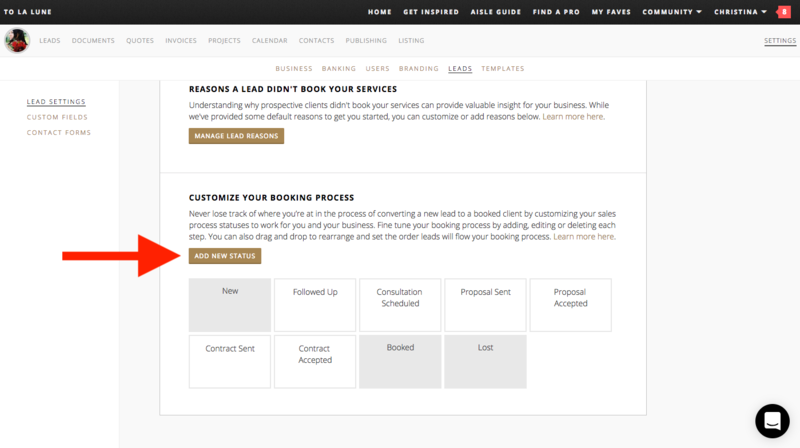 Drag and drop to rearrange and set the order leads will flow your booking process.